When it comes to traveling, we put a lot of thought into where we go, how we’ll get there and what to budget for, but we very often overlook or underestimate an important aspect of our trip: who we go with. I’ve traveled solo a few times and I love it. As an extroverted introvert, I thrive on alone time and need it to recharge. Traveling alone gives me the autonomy to go where I please, eat when and what I’d like and truly enjoy the time passing without concern for much. Having the freedom to wander in a museum for hours, pausing intrigued for 15 minutes or so to take in a particular work of art with no one nudging you forward is, for me, a small joy. Nevertheless, I have to admit, I do catch myself in the midst of it all thinking, wow, xyz would really have loved this or so and so would appreciate this too. Traveling is a special experience and sometimes sharing the memories do make them even more meaningful. As I write this I can recall one night in particular in Paris at the culmination of my Euro trip with two friends. They would be going back to Jamaica the next day and as any good patron of the City of Lights should, we decided to spend our last few hours together drinking wine in front of La Tour d'Eiffel. As we sat reliving the details of our trip and certainly on a high from 14 days spent in 8 cities, a few meters away we suddenly heard the bellowing of Ini Kamoke's Hot Stepper to which we all had the same exact reaction, i.e. scream and spring to our feet to dance. As if that wasn't enough, the singer decided to follow up with Beenie Man's Simma Simma, at which point we pretty much lost it. I had been to the Eiffel Tower about a hundred times prior to this and had seen many street singers deliver acoustics sets on several occasions but the odds that of all nights, this singer would choose to belt out two of the most renowned reggae hits of all times, at the exact moment that three little Jamaican girls found themselves on the lawns of Trocodero was serendipitous to say the least. I texted my friend to confirm that I had remembered the songs correctly and she readily gave, "Yes, I can never forget that night." Beyond the memories, having the right travel partner is also a convenience. It's cost effective since you'll be able to split fees and in the event of emergency there is someone to rely on. 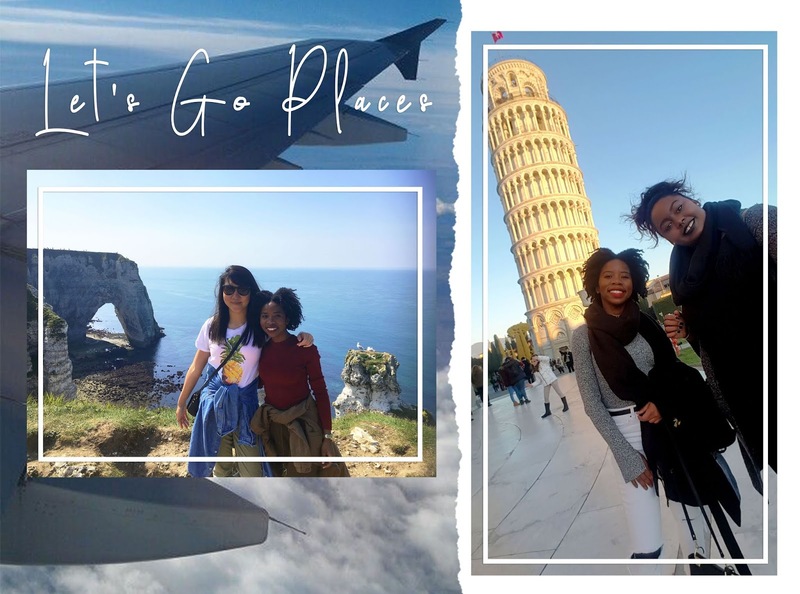 Plus, unlike solo travel you won’t have to keep asking random strangers to take your photo and pose while in the throes of paranoia, worrying that they’ll run off with your cellphone if they say yes. Having taken a few trips with several different individuals, I will say, choose your companion(s) carefully. In Jamaica, there is a saying "see me and live wid me a two different tings," which essentially means, spending a few hours with a person is not a true indication of what it's like to cohabit with them. Of course, there are very telling signs based on your interactions that you can use to deduce whether or not you want to travel across the ocean with this person. You'll want to pay close attention to the admirable traits or the otherwise red flags because, trust me, you wont want to be a few thousand miles away from home only to realize your travel bud is actually a latent psychopath. What is the main purpose of the trip? Being very clear about this will help you to choose the most appropriate companion. 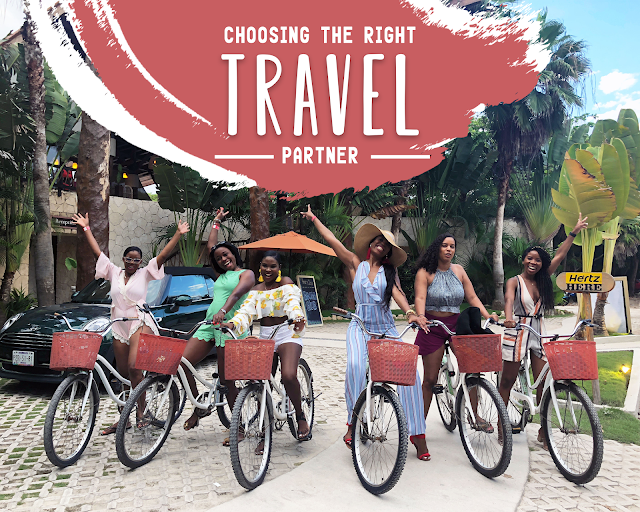 For example, if you’re planning to be adventurous, explore many places and walk a great deal you know not to choose someone who prefers to relax or wants a shopping trip. Setting expectations ahead of time is essential to a successful travel experience. That way, you wont have any unnecessary stress because the person has one agenda for the trip while you have completely different intentions. I remember in Shoe Dog, Phil Knight's memoir, where he relayed how he chose a travel partner saying his friend was "easy to talk to and easy not to talk to, equally important qualities in a friend, especially a travel companion." Like Phil, you'll need to assess whether your choice person is agreeable. Say for example, you're a person who likes your alone time, then it means you should probably stay clear of anyone with monophonic tendencies. It’s always better to have someone that complements you. Beyond personal space, this will become even more important when deciding on a budget. Seemingly simple things such as food or accommodation can cause a big fall out if you’re not on the same page, so be mindful of this. You will need someone you can always count on. Who do you know that will show up on time so you wont miss a train, pay their portion of the bill and make good on whatever arrangements you've both decided on? That's the person you should be traveling with. Also, anything can happen and you want to know that if you run into any trouble, this person can be trusted to be there for you when you need them most. Traveling with someone selfish or self-centred will be a disaster. Whoever you choose, you should be able to comfortably share responsibilities with them. I like the idea of planning ahead and I highly encourage it. The thing with traveling however is things definitely won’t always go as you’ve imagined so you need to have someone who is understanding and won’t complain every time something changes. The worst thing you can have on a trip is a whiner. Traveling will present lots of new and unexpected experiences and it’s better to have someone who is curious and open to rolling with the punches if and when they come. This is more than just being compatible, it's finding a person who balances you out and will be able to pick up your slack in the areas that you're not so strong at. I, for example, am good at planning a trip but don't ask me to use Google Maps when we get there! I know it's supposed to be straight forward but there are some of us who just can't find our bearings so easily. It might seem simple but traveling with someone who is better coordinated and can easily take directions actually make a difference for me. Essentially, what I'm saying here is, where ever it is that you find yourself lacking, your travel partner should be killing it in that department, ideally. Traveling can make or break a relationship. Speaking from experience, do not travel with someone who will make you regret leaving home. Traveling should, for the most part, be a wonderful experience so protect your space. Ask questions, be vocal about your preferences and if possible, do a dry run by taking a day trip locally to see how well you'll fare with the person. Who you go with will make all the difference, regardless of your destination so choose wisely. I really can't stress it enough.